A couple of years ago some lovely friends of ours that we hadn’t seen for about 7 years sent us Exploding Kittens as a surprise Christmas gift, we played for most of that Christmas and it fast became a firm family favourite card game. 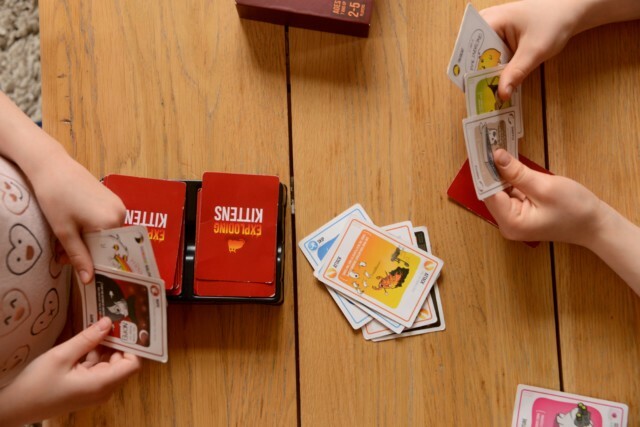 There are very few games that all my children like to play and even fewer that Rob and I like to play as well, but Exploding Kittens is perfect. It’s highly strategic, fast moving and brilliant fun. The direction of play can change very quickly and it’s long enough for everyone to feel like they’ve played a game, but short enough that you can have a quick game when you don’t have hours to spare. Each player starts of with 4 cards and a Defuse card. Players can play any of their cards on their go and each players turn only ends when they draw a card from the pile. If a player draws an Exploding Kitten they’re out of the game unless they have a Defuse card. Other cards include Favour, Skip and Attack where you can ask another player for a card, skip your go or get another player to draw two cards, all these actions can be halted with a Nope card. 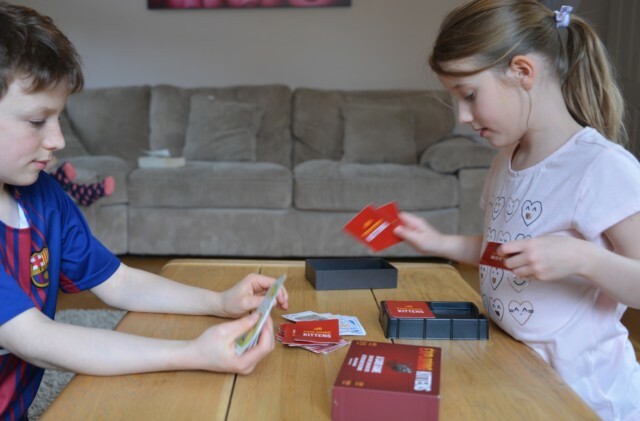 It sounds complicated, but once you get the hang of it, it’s fantastic fun and genuinely THE best family game we have that everyone will happily play. 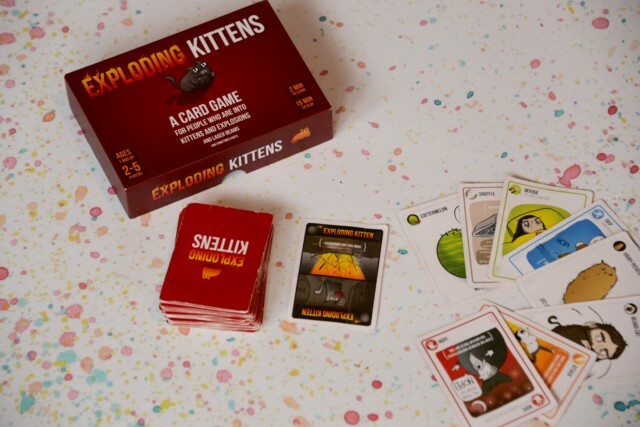 We’re very excited to now be part of the Asmodee UK Blogger Board Game Club and Exploding Kittens is our first review. It’s been lovely to play with a brand new game instead of our old, much used one, especially as the kids had sneakily bent all the Exploding Kitten cards so they knew when one was at the top of the pile. I won’t be letting that happen with our shiny new version! If you’re looking for a new family game, we would 100% recommend Exploding Kittens, it’ also be great for taking on holiday or for as gift.